So your back hurts. Maybe it hurts a little and maybe it hurts a lot, but if you’re reading this then your pain is probably interfering with your life at least a little bit. It may be easy to sit on the couch for one more day, hoping that you wake up tomorrow morning with your back pain gone. However, this tactic doesn’t usually work. 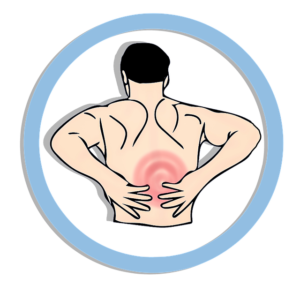 In fact, you may need to see a physical therapist in Denver for your back pain. If you really don’t want to take narcotics for your back pain, then physical therapy might be best for you. Physical therapists don’t use medication to treat pain, though they may work alongside doctors who do. Instead, your back pain specialist in Denver will help you find exercises you can do to stretch and strengthen your back. These can help alleviate sore muscles and tendons so your back can heal. And become strong once again. It’s easy to get online and look up exercises you can try for your back pain, but it can be a lot harder to do these correctly. Your physical therapist will know exactly how you need to be positioned and how you should move to get the most out of each exercise. They will be able to make small tweaks in how you perform each motion that will help you get the most out of the time you give to physical therapy. It’s easy to say that you’re going to do something for your back pain, but it can be a lot harder to actually commit to the time each day. If you find that you’re mostly ignoring your back pain or skipping your workouts, going to a physical therapist can help you get back on track. Your time with your therapist is set aside for focusing on healing your body. It is dedicated to that goal and, when you have your therapist with you, you won’t spend it doing other things instead. Going to a physical therapist means getting an education in how your body works, why you have back pain, and what you can do to fix it. The process is not just aimed at alleviating your current pain, though that is one of our major goals. It is also focused on connecting you with a back specialist in Denver who will get to know your body. You can learn how you move, how you have adapted to pain over the years, and what you can do to make sure you are never in this kind of pain for these reasons again. If you would like to reap these benefits, we have physical therapists at Denver Physical Medicine who would love to help you out. They are all back pain specialists in Denver who have extensive training in relieving the type of pain you’re suffering from today. Call today to get your appointment and start your journey towards being pain-free.